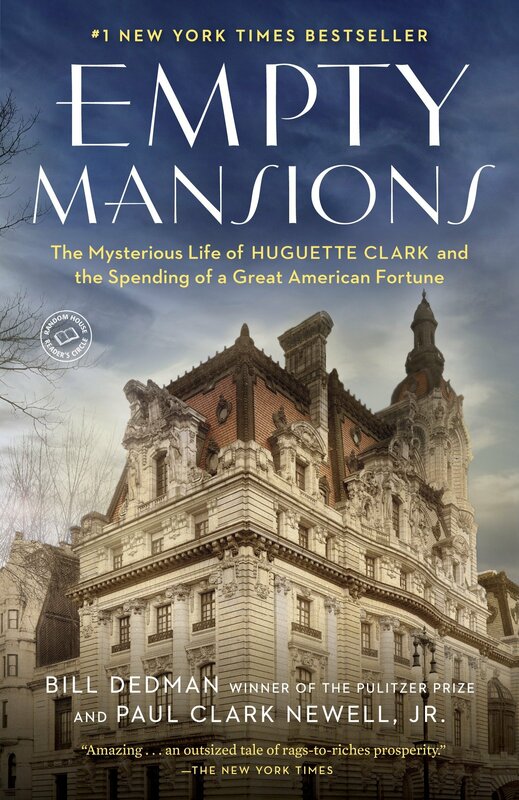 Authors: Bill Dedman & Paul Clark Newell Jr.
Huguette Clark is infinitely fascinating. Her life is just plain interesting. Her father was W.A Clark a Copper titan in the same league as Carnegie, Morgan, and Vanderbilt; and her mother was a former ward of Clark he married. Well, eventually married. These familial surprises, twists and turns are part of the charm of this journalistic-style biography of Huguette, her family, and what happened to her fortune following her death. I don't want to spoil too much so I won't go into a lengthy history of Huguette's life but suffice to say that the average reader will know little of this family's history or about Huguette's reclusive life. Bill Dedman also includes relevant historical information from the early days of the 20th century. I liked this aspect of the story because it involves the development of the Pacific Northwest and Montana. I grew up and currently live in this area so I'd been to all or most of the locations mentioned, it was interesting to think of these places the way they would have been 100 years ago, especially Butte. A few years ago my Mom and I were driving from South Dakota to Washington when our car basically gave up on the pass just before Butte, Montana and we ended up staying in the town for a few days. It was fun to learn more about this town and how Clark shaped it. I listened to the audiobook version of this book. I really liked the narration, especially the commentary by the co-authors and the recordings of Huguette's voice. She had a very distinctive voice and one of her doctors described her as "cute as pie". I think that is an apt description of the woman I got to know while reading this book. Huguette did not live the life of a typical person. She lived life on her own terms, enjoyed what she liked whether that be dolls or Smurfs. She was generous to those in her tight-knit circle and after her death, unsurprisingly everyone argued over her money. This book changed my opinion on Huguette. At the beginning I thought of her as a rich old lady who got taken advantage of and was kept in a hospital, alienated from the world. I'm not so sure of that now. Like I said, Huguette lived life on her own terms and she had the money to do so. That doesn't mean she was taken advantage of. It means she did what she wanted whether that be creating lavish dollhouses or staying in a hospital. I think that is my biggest takeaway from this pseudo-biography. Live the life you want to live. Huguette did, and I think she lived a happy life.